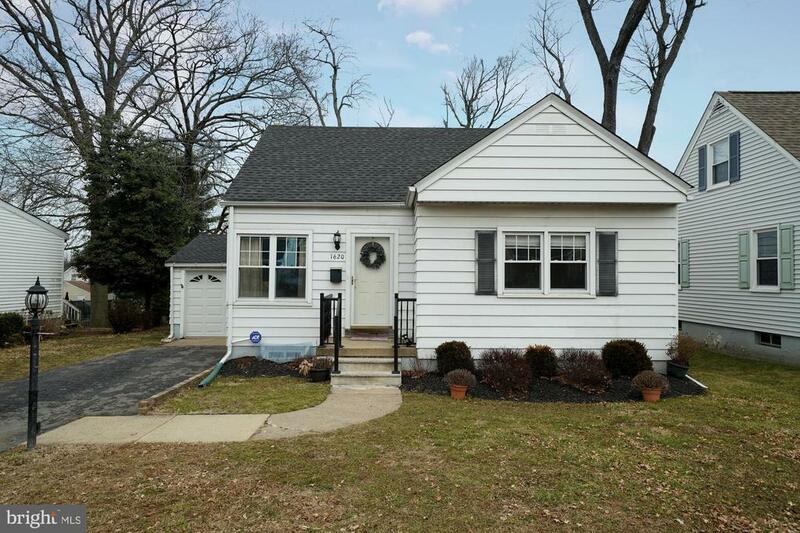 Adorable updated cape has sun filled living room, Eat in kitchen with full appliance package and Formal dining room. Good sized bedroom on first floor plus remodeled full bath. and, SURPRISE, a beautiful family room addition overlooking two tier deck and fenced yard. Full windows and sliders to the deck and garage access. Upstairs is a huge bedroom with loads of storage. Basement is finished into fantastic game room with half bath and huge laundry area. There is still storage areas left over . Truly a lovely home whether you are just starting our or downsizing. Close to I 295, I-195 and short drive to Hamilton Train station.